Even before Joe Johnston’s The Rocketeer was released, there were plans for a sequel. Disney had hopes that they could create an all-new franchise in the vein of Indiana Jones with the property. Series creator Dave Stevens and screenwriters Danny Bilson and Paul De Meo sold the property as a trilogy and signed a three-picture deal when Touchstone Pictures label agreed to make the film. The picture then transitioned over to Disney. Unfortunately, as we now know, The Rocketeer flopped at the box office, making any hopes of a future film doomed. To this day, no real details on the plans for what would have happened in the sequel have ever been released, but we do know Campbell would have returned along with co-star Jennifer Connelly. 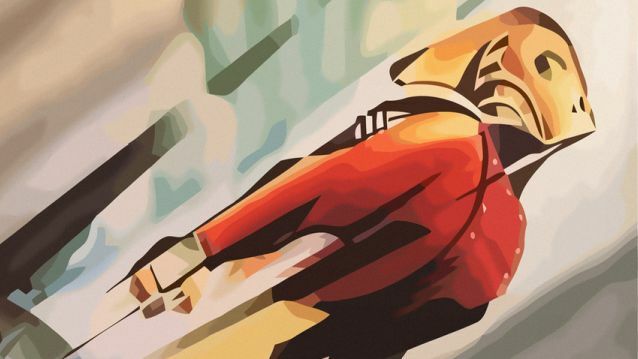 To titillate your imagination, though, an art show debuted last year where the theme was sequels never made and artist Alex Griendling brought The Rocketeer 2 to life.